To win on Saturday was all the sweeter because of his early toil, and even more satisfying because he and his crew had to work correctly in every session to find him a victorious bike for the first race in Spain. His task was complicated in race one by having periods of wet on day one, in the first and third FP sessions. The set-up work was not even complete before the final session on Saturday morning. Rea and his crew opted for a development Pirelli front tyre that he had not used before. “I also ran the new front that they brought this weekend,” said Rea of his pre-race change. 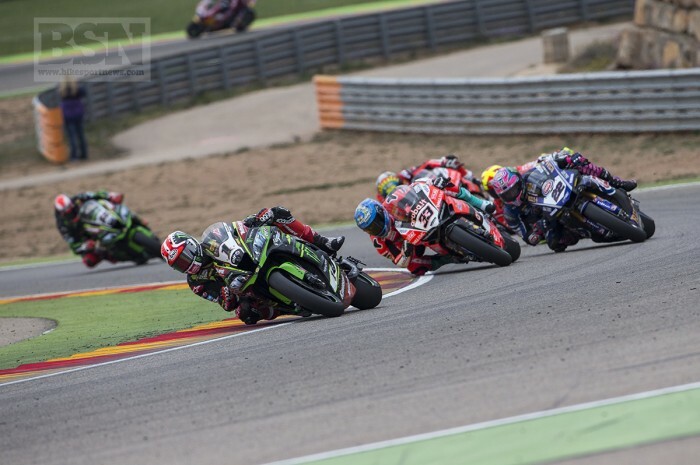 Overall Rea knew he was going to have a good day after that FP4 session, and he admitted to having a strategy to keep his powder dry in the first sections of the race, and make his fast steering, yet stable, bike finally slip away with some margin of safety from the rest in the twister parts of the Motorland circuit. But Rea thinks it is going to be a busy year in the pits, even from race to race, and more. And because of the new tech rules for 2018 it may even be all-change again for Sunday’s race, if conditions are contrasting enough. In race one track temps were around 18°C. Rea and his crew, led by former racer and long time WorldSBK crew chief Pere Riba, are possibly rummaging in their expansive trophy cabinets for some old data sheets, as Rea explains. But it is a winning strategy, as his race one success at Motorland proved. He moved 14 points clear of Marco Melandri after race one, 17 clear of Chaz Davies.